Growing up I remember peaches in a few ways: fruit cocktail, sliced in my lunches, or canned (commercial or homemade). Sure there was the occasional pie or dessert but those were rare. My most vivid memory of peaches is running to the basement to grab a jar for dinner. Funny, I was born in Georgia and was told I was a “Georgia Peach” during my childhood but had no real interest in the fruit. As I have gotten older and have kids of my own, we are forever trying to expand our food interests. My kids, like my husband, LOVE peaches! Their favorite is fresh yellow varieties sliced or on fruit kabobs. Did you know there are many varieties yellow, white, donut etc? Peaches are divided into clingstones and freestones, depending on whether the flesh sticks to the stone or not; both can have either white or yellow flesh. Peaches with white flesh typically are very sweet with little acidity, while yellow-fleshed peaches typically have an acidic tang coupled with sweetness, though this also varies greatly. Both colors often have some red on their skin. 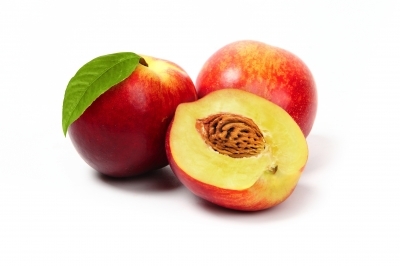 Low-acid white-fleshed peaches are the most popular kinds in China, Japan, and neighboring Asian countries, while Europeans and North Americans have historically favored the acidic, yellow-fleshed kinds. Peaches should be stored at room temperature and refrigeration should be avoided as this can lessen the taste of the peach. Peaches will continue ripening after being picked from the tree. Thanks to others who have kindly shared their knowledge and recipes I have learned there are many ways to enjoy peaches: fresh, cooked, baked, grilled, crock potted, jammed, canned, frozen or dehydrated. You can even make your own baby food! 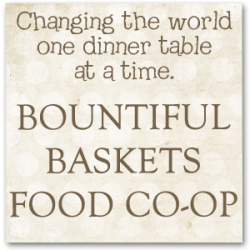 Enjoy eating out of the basket! Most of what I’ve read online or in canning books tell me that peaches DO NOT ripen off the tree. They get softer but they will not get sweeter. I was very disappointed with the peaches this week. I bought two cases because the produce last week was so good. They are mealy and have little flavor. I do not know what to do with 40 lbs. of this produce. What a bummer.